We all know the names of our beloved champions of Gentry, the ones on top of the leaderboards. With envy we watch them win again and again, but do we really know these people? Who are they? Where did they came from? And how is life at the top of Gentry? Let’s find out in a series of mini articles, in this one we take a better look at the ones fighting for victory on the Sint-Niklaas Leaderboard. We picked the 3 highest ranking players and asked them some questions. Our current number one is Philip (or at least he was, check out the Sint-Niklaas leaderboard now to see what’s been changed). Back in the day we nicknamed him “Klein Philipke” because the local gaming club had a lot of members named Philip, and he was one of the youngsters. Others were named “Flup”, “Phil”, by their last names but “Klein Philipke” stuck throughout the years. 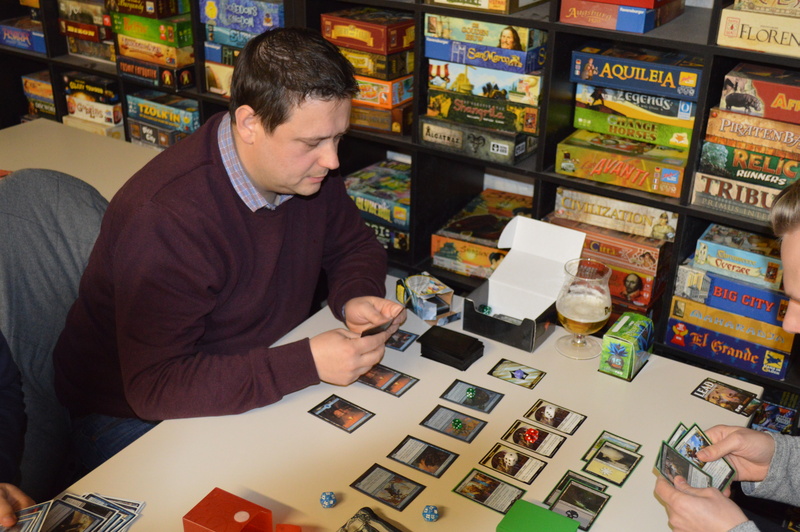 Philip loves to draft and has been one of the best drafters in the Sint-Niklaas community for a number of years. He used to redeem full sets on Magic Online and sold or traded them away for more cards and money for more drafts. Philip almost never makes mistakes, and that is a real scary quality for your opponent to have. While Philip is mostly known for his Limited prowess, he has been on a real tear in Gentry lately. Philip generally favors control strategies but can basically play anything. He is known to brew only a couple of decks each meta but they are usually spot on, and contain surprising and interesting elements. 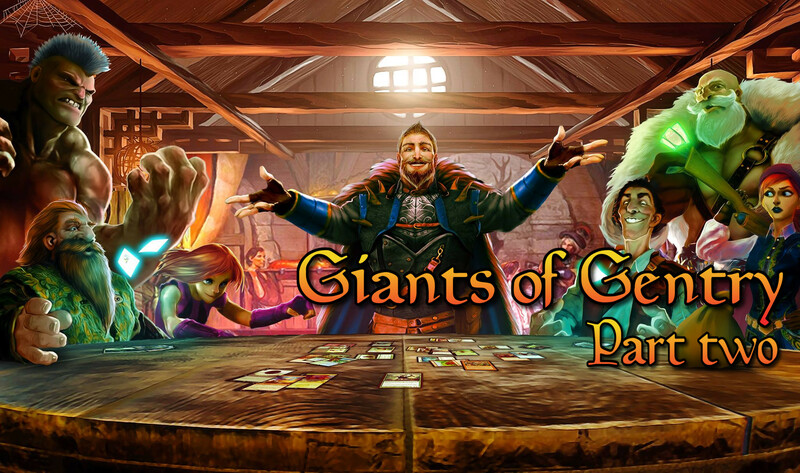 “I love Gentry tournaments, because a beginning magic player can participate in these events, and has the possibility of winning some games and matches, even though they only have played the deck for a couple of days. They can basically build the deck from scratch using some draft fodder. Recently, I was playing a youngster, he could not have been much older than 14, who had been playing Magic for 6 weeks. He started the game alongside his father. His deck was a U/G Merfolk build, which is a quite strong archetype. I had to bring my A-game, because one mistake could mean that a series of pump spells would finish me off. Another great thing about Gentry is the high variance of decks one encounters. It’s the most fun to play with a new deck or against a new deck. It’s also the case that most decks don’t cost you anything. Sometimes I browse the legal sets figuring out new deck ideas, and I never have to consider spending hundreds of euros. Sometimes the cards you get from a couple of sealed pools and drafts are enough to kickstart a new deck. What are you favourite card(s) in the current meta? “Easy question for me! The GODS (The Scarab God, The Locust God, The Scorpion God, Nicol Bolas, God-Pharaoh, God-Pharaoh’s Gift). These cards are plain busted in Gentry, oozing with flavor and raw power! If you can deploy these threats on curve, your opponent is required to have an answer immediately or they will take the game over completely, even when behind. They have the power to swing games. When I narrow it down to a single card, it has to be The Scarab God. The card and it’s ability are bonkers. Stealing the best creature out of your opponent’s graveyard, draining your opponents, scrying a ton to find answers or threats, this card just does it all. Being the number one on the leaderboard must mean you face the best opponent all the time. Who is your toughest competition and why? These guys are all exceptional in their own way, with a unique skillset and approach to the game. I could not choose who is the best among those, because they all know how to play the game so well. Yet another Magic player named Sander! He separates himself from other Sanders because he never loses items of clothing at a gaming store. Sander plays lightning fast and has been known to champion all sorts of decks, especially wacky combo decks. He is the rising star of Brainfreeze coffee and comics. My favorite Sander moment, was during a sealed PPTQ where his parents visited the venue to cheer him on. Sander is always critical of his performance, decks and strategies, a quality that helps him improve. He also set a leaderboard record by dealing almost 300 damage in a single combat step! What was your first Gentry experience? Why do you play Gentry? Gentry is by far my favorite format and the freedom you get with the deckbuilding really is the thing I enjoy the most. In other constructed formats, you mostly see people using netdecks,trying to pilot them as well as possible, but I’m notsatisfied winning that way. Another major reason I play Gentry is the community we have in Sint-Niklaas: the Brainfreeze and HQ combined host such a wide variety of players. It’s amazing to hear the person on the table next to you say to his opponent “my lands are older than you”. These things show that the effort we put into Gentry as a community pays off. Favorite card(s) in the current meta? Well, I can’t really deny there’s just one MVP for me at the moment: Electrostatic Pummeler. This guy can just grow so big so quickly, it’s unbelievable! I play him in a variation of the Temur Energy deck and I almost consistently have him in my hand by turn four since I’m able to tutor him with my Trophy Mage. Right below the Pummeler, I have to place Skysovereign, Consul Flagship. The card sees play in a lot of Standard sideboards, but I usually use it if I really can’t find a fourth rare for my deck. You just can’t really do anything wrong with it. If you have been playing Magic for a long time, this name might ring a bell. Mats made his Pro Tour debut in 1999 and he has a lot of great finishes to his name, the “2003 Belgian Championships” title probably being the highlight of his career. 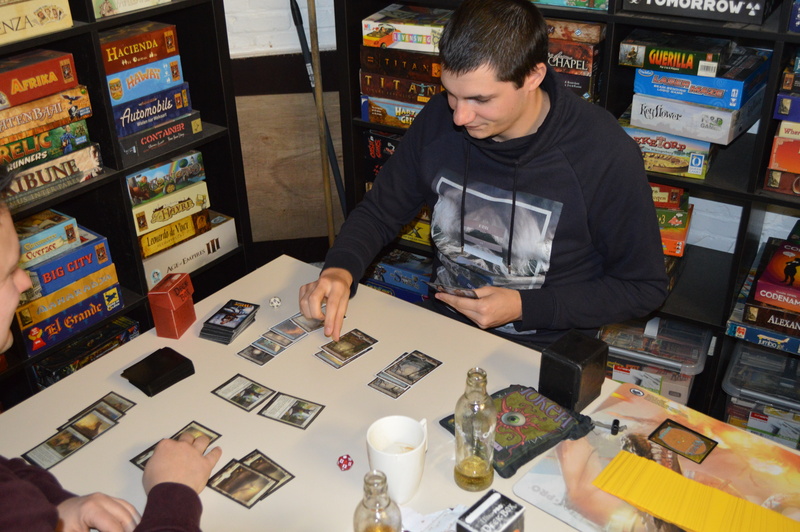 After an eleven year long slumber he found himself in his local gaming club on a quiet night, raiding the green commons and uncommons to make a Stompy deck. I had to lend him sleeves for that deck and he went 2-2 at his first Gentry FNM. That was August 2016. 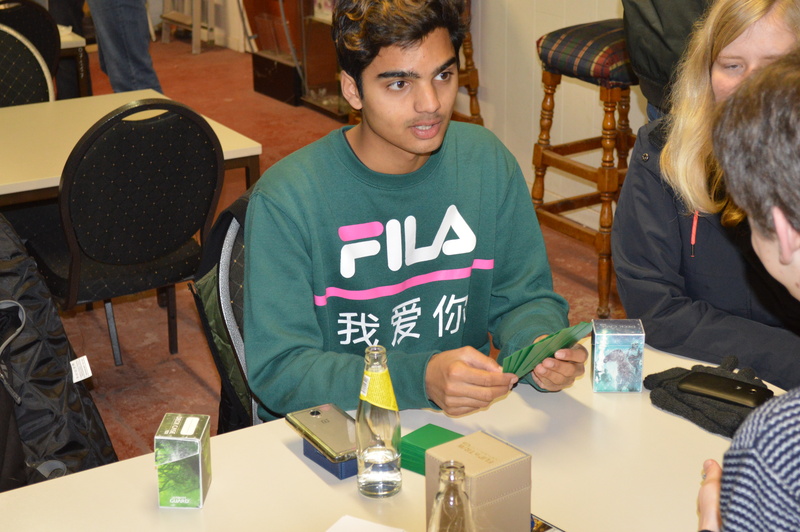 Today, Mats is carrying boxes full of decks, and he is the most enthusiastic Gentry player in the Sint-Niklaas area. He loves building decks and Gentry gives him the perfect environment to brew, test and tune. He is known to favor aggressive strategies but he has the skills to play any deck. He always finishes high and is always looking for a build-around card to create a new deck. I think your intro touched the most important point. I love building new decks, goldfishing them at my kitchen table while my daughter makes her homework. Gentry is a very accessible format. The low budget aspect is what lured me back in the game at first, the fact that you can really try and tune your decks in an “unknown environment” (without netdecks) is what made me stay. I used to be a very competitive player, and when I quit the game I was sure I’d never go down that road again. Nowadays I still play to win, but having fun has become much more important … all I can say is that Gentry really satisfies both needs. I do believe a “1 Mythic”-rule would make an already great format even better. Especially control decks tend to just play “all broken mythic cards their mana base can support”, pushing a lot of fine rares out of the format. It would make the format even more budget friendly too. In Sint-Niklaas, Gentry brought two communities together. Gentry FNM’s and Gentry Monthly tournaments draw twice as many participants compared to last year. That makes me very happy, because a format needs players to survive and right now Gentry looks very healthy over here. Favourite card(s) in the current meta? I love aggro decks. I am always looking for cards that smooth out my mana curve while still being good when you draw them in the late game. Siren Stormtamer fits that slot, but Cast Outgets my vote. Playing four copies allows my white weenie deck to cut two lands, while still taking care of most power cards should I ever hit four mana. Do you have a favorite Gentry moment? So folks! Now you know what goes through the minds of our lovely Sint-Niklaas Giants of Gentry. Join them in leaderboards at Brainfreeze Coffee and Comics or in the HQ Gaming quarters. Next stop is our article on Giants of Bredene!